Free ranging Galloway stags are well known for their distinctive antlers, with far greater mass than is usually found in hill deer and a denser than average mane on the mature beasts. Whilst they do not necessarily carry the high point count of their low land cousins, they still make an impressive and hard-earned trophy. Weighing in at around 200kg, they spend much of their lives in dense forestry areas, coming out onto the hill before and during the rut in October to gather up harems of hinds to mate with. As such, we limit our trophy hunting activities solely to the period of the rut – running from late September until the close of the season on 20th October. Whilst in Scotland, why not take advantage your time in this stunning country and combine your stag hunt with one of our other Scottish hunts? We can combine hunting trips to ensure you get the most out of your visit. All accommodation and transfers can be arranged by Athina Sporting on your behalf upon request. Contact us for further information or to discuss your requirements. 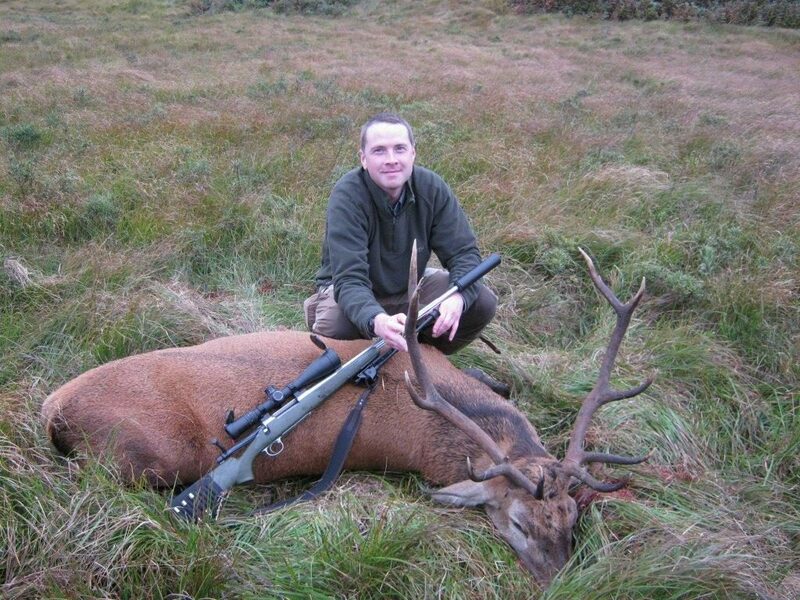 Scottish red stags are the quintessential trophy animal. Tough stalking across rugged terrain makes for a hard earned and truly impressive trophy beast you’ll remember for years to come. We Don’t Charge Trophy Fees! Please Note: We do not charge any trophy fees on our in-house stalking, and if time and opportunity allows, we will give stalkers the opportunity to take multiple animals in a day. We have some very limited early season stalking available which will mostly provide opportunities at the non-trophy animals which form part of our management plan, although the occasional bigger stags do make an appearance. We are now offering a guided syndicate on our own leases totalling approximately 9,000 acres in the Scottish Borders close to Castle Douglas. There are red deer and roe deer available on the lease, with a total cull target for the year at 80-100 deer per year between 8 guns. DSC1 and insurance is required by all hunters, with permission to take as many deer as they wish, seasons permitting and venison will remain the property of the hunter. The cost is £1500+VAT per gun.